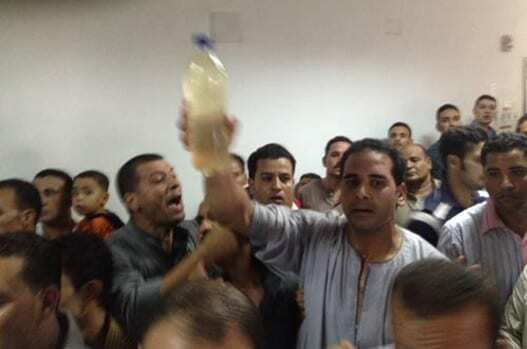 Egypt’s health minister was locked inside a hospital room by villagers on Tuesday after contaminated water left dozens of people ill.
Mohammed Mustafa and Ashraf Hilal, the governor of Minufiya, were visiting sick residents of Sunsaft village when angry relatives confronted them. This entry was posted on August 22nd 2012 at 3:22pm/15:22 and is filed under Live News Column 1, World News. You can follow any responses to this entry through the RSS 2.0 feed.